With monsoon almost in the corridor, it is advisable that you stock yourself with umbrellas, raincoats and foot wears. Instead of being indoors all this monsoon you can plan an outing with your special ones. You can choose your destinations and avail star class facilities at hotels and resorts managed by Panoramic Universal Limited. 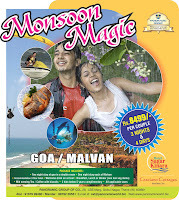 If you are looking for some special monsoon offers than you got it with our Monsoon Magic packages. 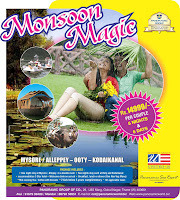 Monsoon magic packages include two options for Malvan-Goa with three nights and four days and Mysore/Alleppey-Ooty-Kodaikanal for five nights and six days. 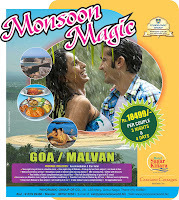 One option is to enjoy your stay in Malvan and Goa for Rs 8499/-* with two night stay at Goa and one night at Malvan. 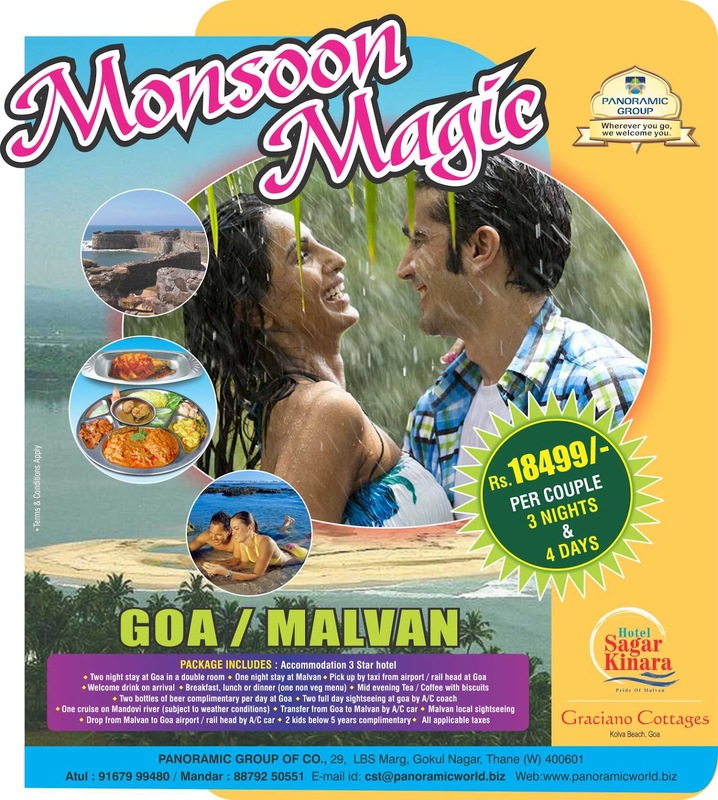 Other option is for Rs 18499/-* which includes pick up and drop at airport/rail head at Goa, two bottles of beer complimentary per day at Goa, transfer to Malvan by AC car and many more. 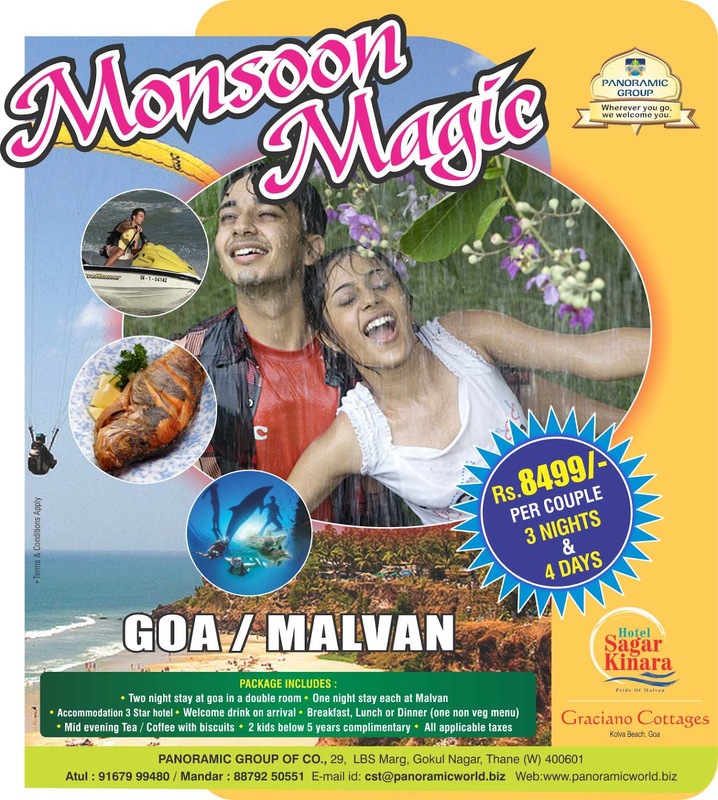 The accommodations would be provided at Hotel Sagar Kinara in Malvan and Graciano Cottage in Goa. Mysore/Alleppey-Ooty-Kodaikanal packages for Rs 14999/-* with one night stay at Mysore/Alleppey and two nights stay each at Ooty and Kodaikanal each. The accommodations would be offered at Hotel United-21/Panoramic sea resort in Mysore/Alleppey, United-21 Paradise Resort in Ooty and United-21 resort in Kodaikanal. All these packages include welcome drink on arrivals, breakfast and lunch or dinner and Hi-tea / Coffee with biscuits. Panoramic Universal Limited is committed to provide its customers with best services and facilities at cost effective prices. 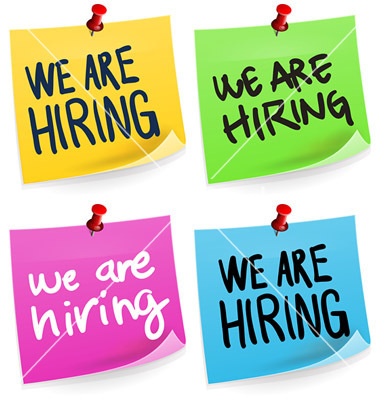 Along with such offers, we would be coming up with many more events and festivities.